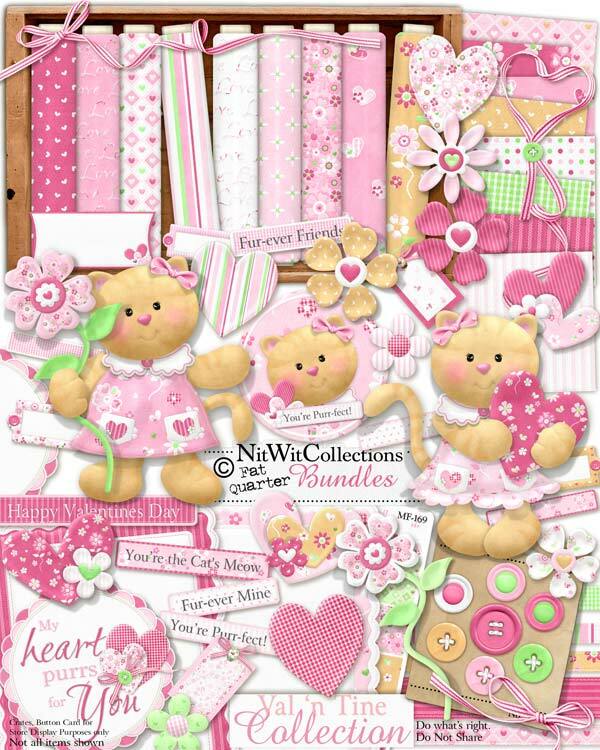 "Val'n Tine" Collection is a perfect Collection for Valentine's Day, girl and cat-based themed creations. The colours, the background papers and of course the stars..."Val" and "Tine" are ready and waiting for your layout and card making ideas. This Collection also includes cute wordtags and wordart to give you a little boost on your creative time. 1 Flower on a stem, blooming to the sky! 7 Flower heads - the lady at the store chopped off the stems, so what was I to do?